Offer accepted but seller will collect back up offers. Looking for a large spacious home to remodel? This home needs someone to love and care for it again. 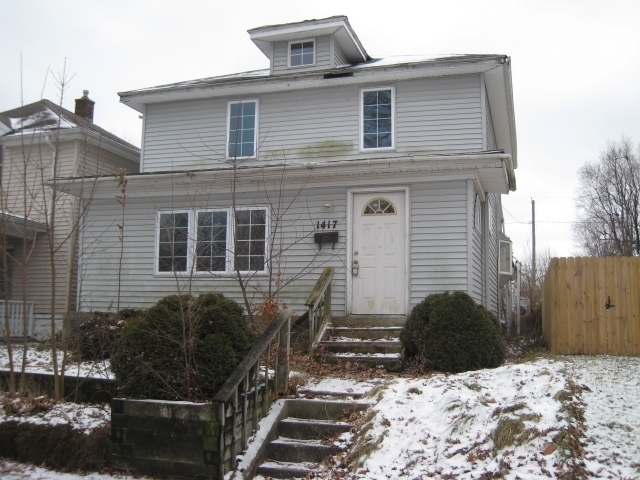 Located in NW Fort Wayne, this home offers a lot of opportunity and uses for the right buyer. Living room was closed off from the foyer for an office. Large foyer area with open stairway. Kitchen cabinets were updated. Large dining room with custom ceiling accents. Upstairs has three bedrooms. Home had replacement windows installed. Pull down stairway to attic. Home has an attic fan in the upstairs hallway. Home needs work and is sold as is. Home does not have utilities on and due to condition, home will not be able to have utilities on for inspections. Basement has a lot of space. Directions:Spring Street to Franklin and go south one block and turn west on 4th Street. Home is on the left.